Sometimes, simply reading a book is not good enough. Literature is life. As bibliophiles, we breathe it, taste it, feel it, and… wear it? 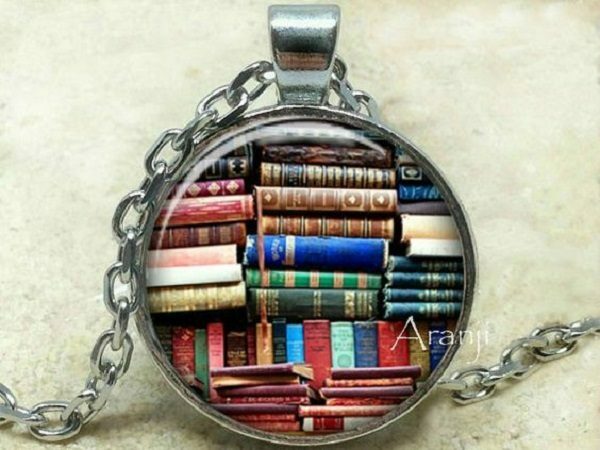 Check out eight pieces of bookish treasure that’ll look great on every bookworm! 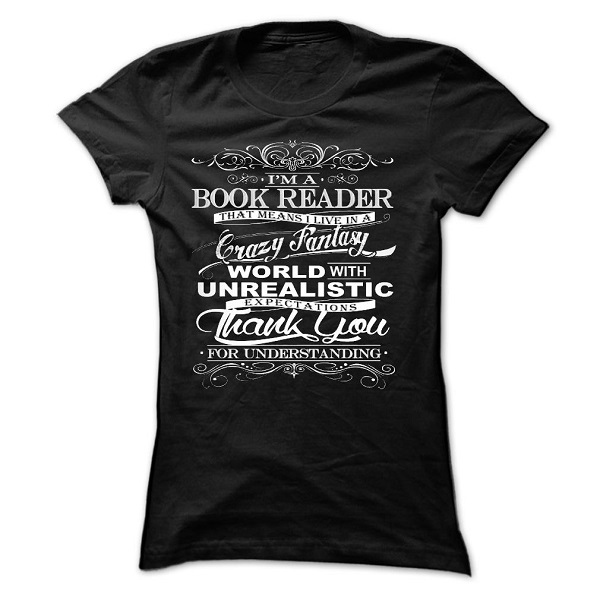 You have probably seen this T-shirt looming around on your Facebook feed if you follow a bunch of bookish pages. What better way to show off your book loving pride than an awesome T-shirt? How can you go wrong with Sherlock Holmes? He’s genius, he’s witty, and he’s a bit screwy in the head. 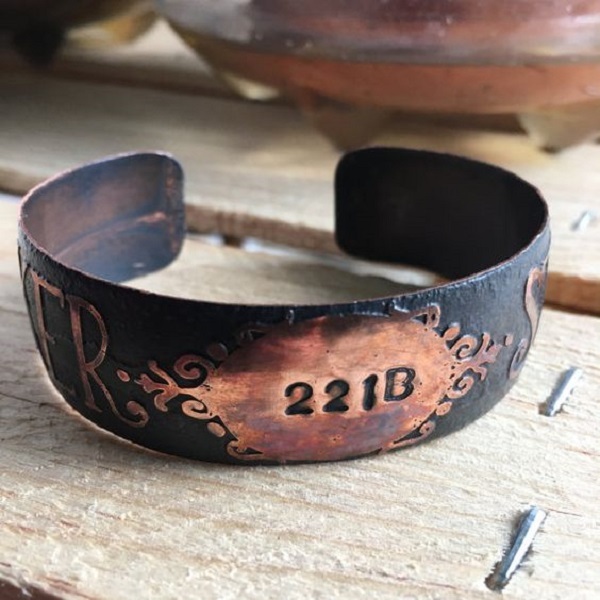 SilverfoxxDesign subtly showcases Sir Arthur Conan Doyle’s legendary character in this copper-etched bracelet. I wonder how many people would catch the reference? Ernest Hemingway had some of the best quotes about writing. His very blunt advice on writing remains one of the most popular and, actually, proves to be quite true. This Etsy.com shop has several re-purposed, leather bound books with various authors. You can choose your favorite. 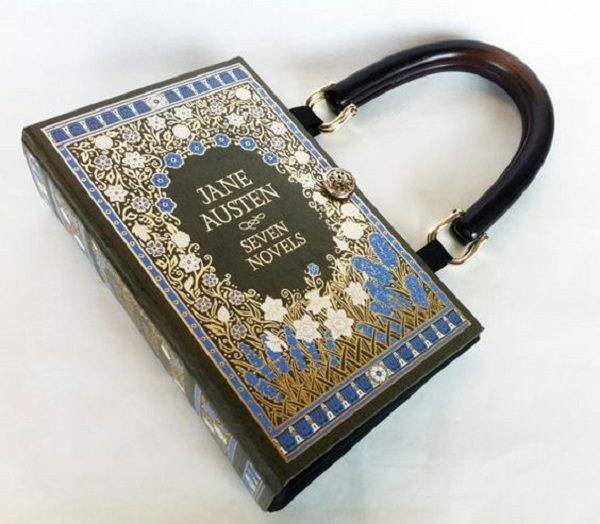 They have over 181 different book-purses to choose from. Bonus: you can decide on variations of the clasps and handles, too! So maybe you’re feeling a bit indecisive and aren’t sure which author you want to represent. 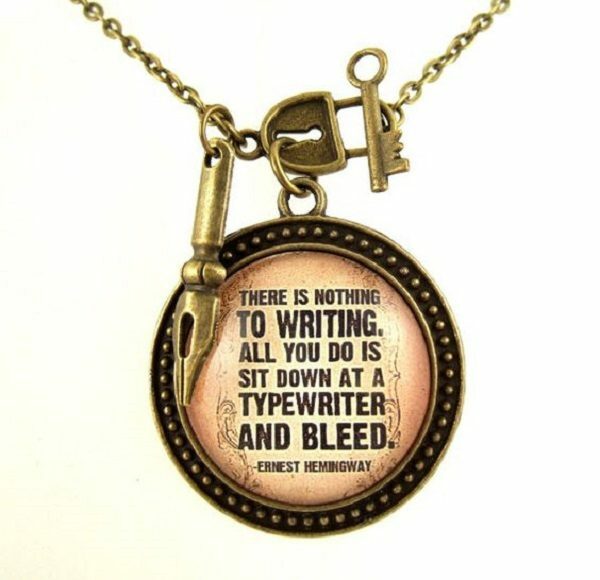 This adorable little necklace still exudes your love of the written word. 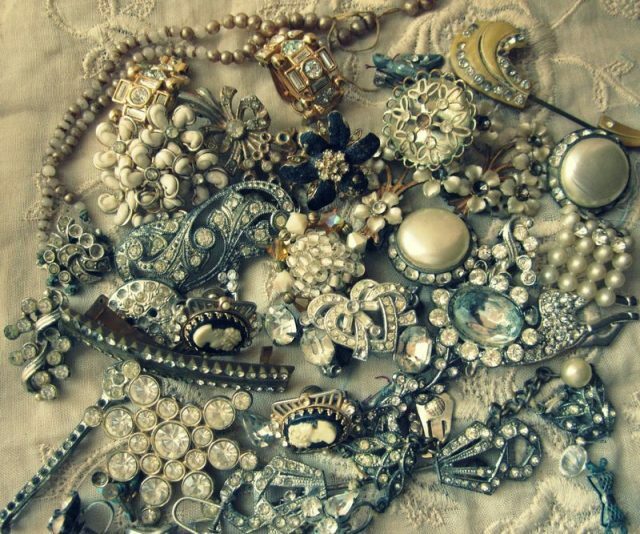 This store has a plethora of pendants to choose from and they can put just about anything inside! I love Shakespeare. His works are the epitome of literary genius. It’s only fitting that NerdAlertCreations would put one of his finest works on a fashion accessory that never goes out of style! NerdAlertCreations is probably one of my favorite Etsy shops right now. 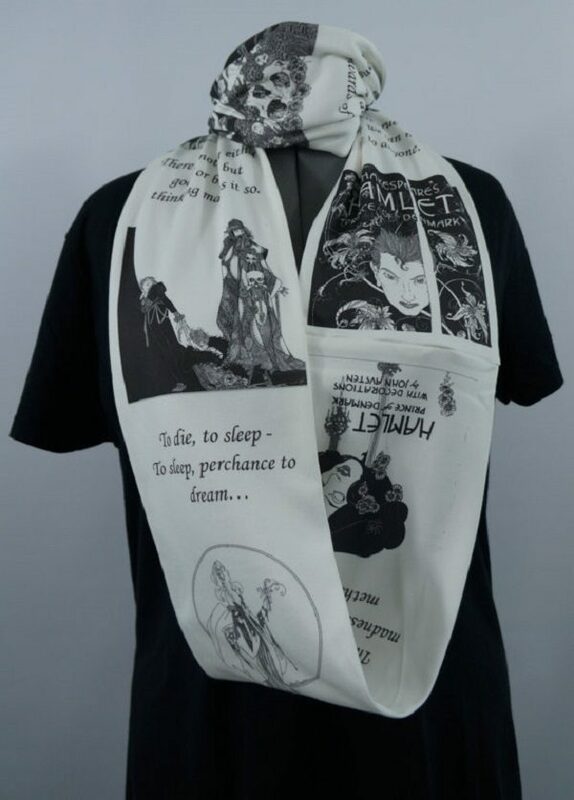 They have tons of other ingenious bookish wear and will take special orders. This is another NerdAlertCreations find. Sometimes it’s not enough to just read a book. Better to drape yourself in your favorites and show the world! Book covers can be changed to your favorites for a customized take on this dress. Which of your favorites would you choose? You can never go wrong with some Edgar Allen Poe. 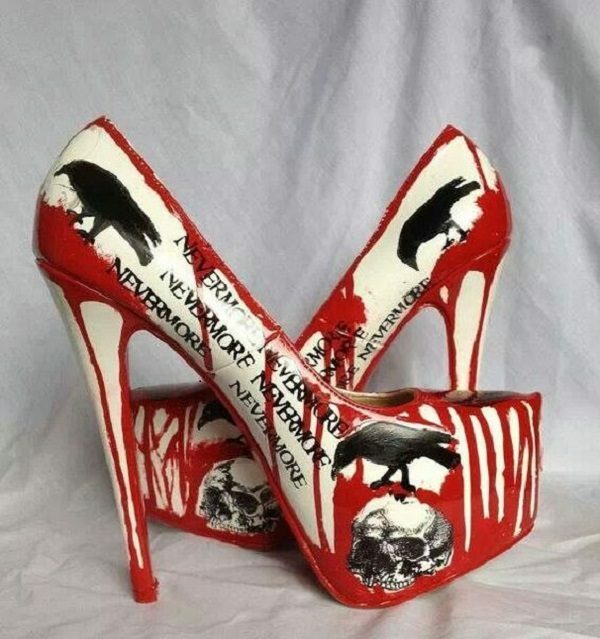 These fantastic stilettos from MissFiendishApparel capture his haunting and gory world fantastically! Now that I’ve introduced you to some of the most unique bookish wear on the internet, go and represent! Book Nerds Unite!